In it’s second year, the USA Rugby Women’s Gold Cup Championship is expanding to include teams from Red River. This elite competition includes NOVA and Raleigh of Mid-Atlantic, Boston and Monmouth from Atlantic North, Austin Valkyries and HARC from Red River and two teams from the Midwest. The Midwest teams will be declared at the end of the fall. The agreement between all of the teams is a two year commitment where the top two seeds from each competitive region will participate. The two year commitment is key as it ensures all teams get a complete home and away series. The Gold Cup also determines places at the USA Rugby Eastern Regional Playoffs, except for Red River. Their seeding for regionals will follow the normal path of the Red River Rugby Conference. The top team each from Midwest, Atlantic North, and Mid-Atlantic Championships automatically make Eastern Playoffs. The top two of the three second place teams have a chance to compete for the fourth seed vacated by having no South team, based on Gold Cup Standings that do not include Red River matches in the point calculations. We will be providing LIVE score updates each week (as live as we can get…). Make sure to follow us on Facebook or Twitter. Have your own updates or want to share pics/video? Feel free to reach out to us via Facebook, Twitter or by email to wendy@scrumhalfconnection.com. Want to follow the conversation on Twitter or Facebook? 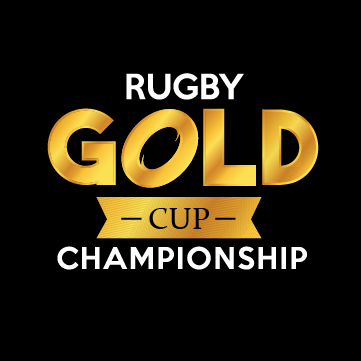 Use the hash tag #GoldCupRugby.